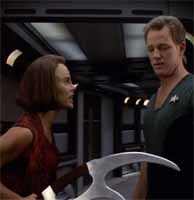 In my last post, I vented some of my frustrations with Star Trek: Voyager. Primarily, I ranted about how the series mostly failed to follow through with its central premise of being about the ship being lost and isolated on the other side of the galaxy. 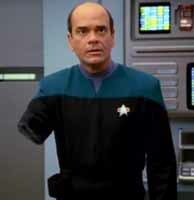 But I still have more complaints with Voyager. A side effect of the show not following its "lost and alone" premise to its logical conclusion, the show ended up feeling like it was trying too hard to be a Next Generation copy-cat. Steve Shives also brought up this complaint in his Youtube video "What's My Problem With Voyager? ", and I echo the criticism. Voyager had the frustrating habit of retelling stories that had already been told (usually better) in Next Generation. Star Trek shows have always repeated archetype characters, but TNG and Deep Space Nine were very good about paying homage to the earlier shows, without outright copying them. Many characters feel like slight variations of characters from TOS and TNG. For example, it could be argued that Data in TNG is a copy-cat of Spock. Dr. McCoy, after all, frequently referred to Spock as a "computer", and Mr. Data is [literally] a computer. But Data isn't a copy-cat of Spock. He's actually more a reflection of Spock (though, admittedly, Spock's arc in the movies and in "Unification" does paint him as being more similar to Data). 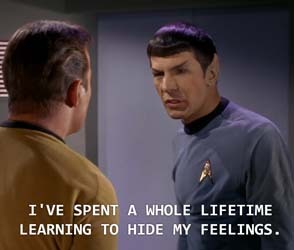 Spock (in the Original Series) derided his humanity and fought very hard to subdue and quell it. Spock was like a Dr. Jekyll who thought his human half was the monstrous Mr. Hyde. 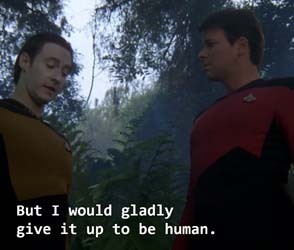 Data, on the other hand, inverts this concept and is more of a Pinocchio (which Riker explicitly spells out for us in "Encounter At Farpoint"). 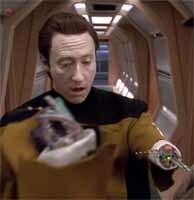 Data wasn't a copy of Spock, he was an inverted reflection. Also, Spock was dueling with his human half throughout the Original Series and into the movies. That's a dynamic that isn't present in Data at all. That dynamic is present, however, in Worf! Then, of course, there's the whiz kid element of Spock's character, which was transcribed onto Wesley in TNG. 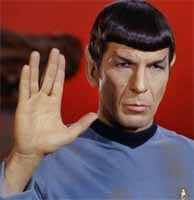 So TNG took inspiration from the Original Series' most popular character (Spock), but instead of copying him with minor variations, it split Spock's attributes into multiple characters. A couple years ago, I wrote about the show that I wish Star Trek: Enterrpise had been. Enterprise completely dropped the ball as a prequel and as a bridge between our time and the time of the original Star Trek, by screwing up at fundamental levels of its conception and design. But Enterprise wasn't the first Star Trek series to do this. Its immediate predecessor, Star Trek: Voyager had already started this trend, which has sadly carried onto into all incarnations of Star Trek since. 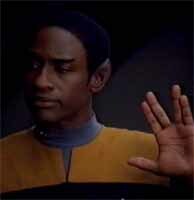 I rarely talk much about the reasons that I think Voyager is an inferior show to Next Generation and Deep Space Nine. The closest I've come so far was my rant about the Borg, a brief retrospective as part of the 50th anniversary, and a few off-hand jabs at Voyager in some of my other Star Trek posts. This past summer, Steve Shives published a video on Youtube called "What's My Problem with Voyager?" in which he vents some of the same complaints that I have. Steve has some pretty excellent content on his channel, and I highly recommend checking him out if you enjoy my Star Trek content. Anyway, his video inspired me to vent some of my own frustrations with Voyager that he either didn't cover, or for which I feel I have additional insight. Steve Shives, creator of "Trek, Actually", posted his problem with Voyager on Youtube. Just like Steve, I want to start by stressing that I don't hate Star Trek: Voyager. I don't think it's as good as its predecessors, but it's perfectly watchable. When I first started drafting this, it was going to be a short list of complaints. However, as I re-watched the show, the post ballooned with examples. As such, I'm going to split this into several parts. This first part will probably be the longest (so bear with me please) and will focus on what I perceive as a failure of Star Trek: Voyager to adequately build upon the foundations of its premise. 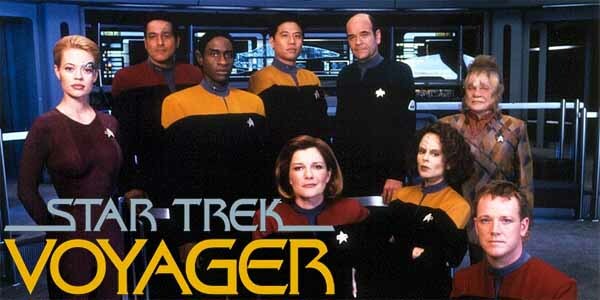 The next post will be about how I perceive Voyager as a lazy copycat of The Next Generation. At a conceptual level, Voyager begins with two foundational pillars: the ship is stranded on the opposite end of the galaxy; and a quarter of the crew has been replaced by Maquis freedom fighters and terrorists instead of trained Starfleet personnel. The show almost completely whiffs on both of these concepts. I would say that there are also two other foundational pillars of the show, but each of these only lasts for half the series. In the first half of the series, a major source of conflict is the fact that Voyager possesses technology far superior to the races and civilizations that it encounters; thus, bringing the Prime Directive into sharp focus and testing the crew's resolve to obey the Directive in such desperate circumstances. In the second half of the series, we have the Borg (which I will be discussing again). 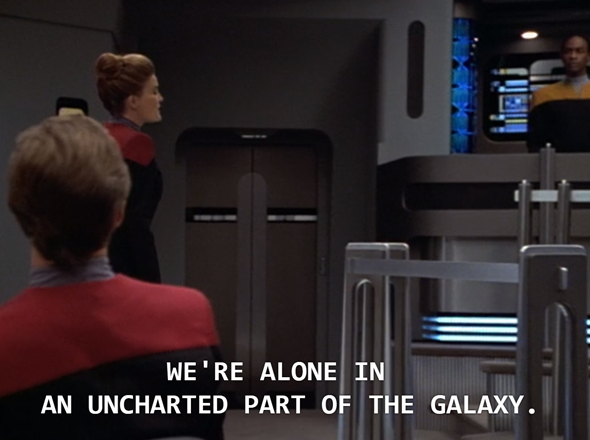 Voyager is isolated and alone, without the resources of the Federation or a starbase. All four of these are very strong concepts and well worth exploring. Unfortunately, Voyager almost completely abandons its two initial foundations, and (again) completely whifs when it comes to the Borg (though, admittedly, a big part of that is Star Trek: First Contact's fault). The only concept that Voyager really sticks the landing on is the idea of technological disparity between Voyager and its foes in the first couple seasons.